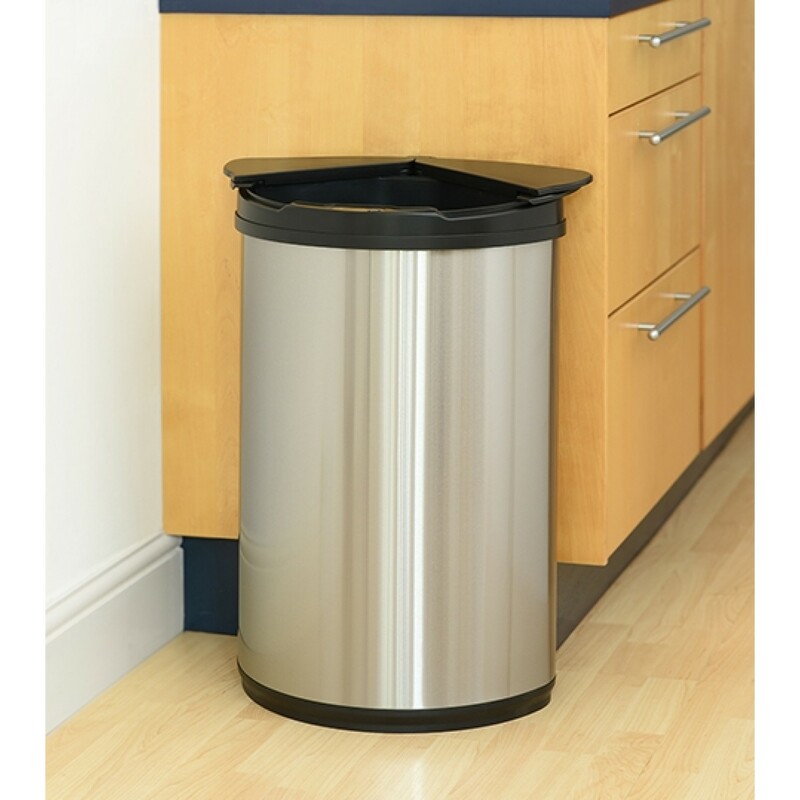 The 50 litre motion sensor bin is our latest model in 2017! 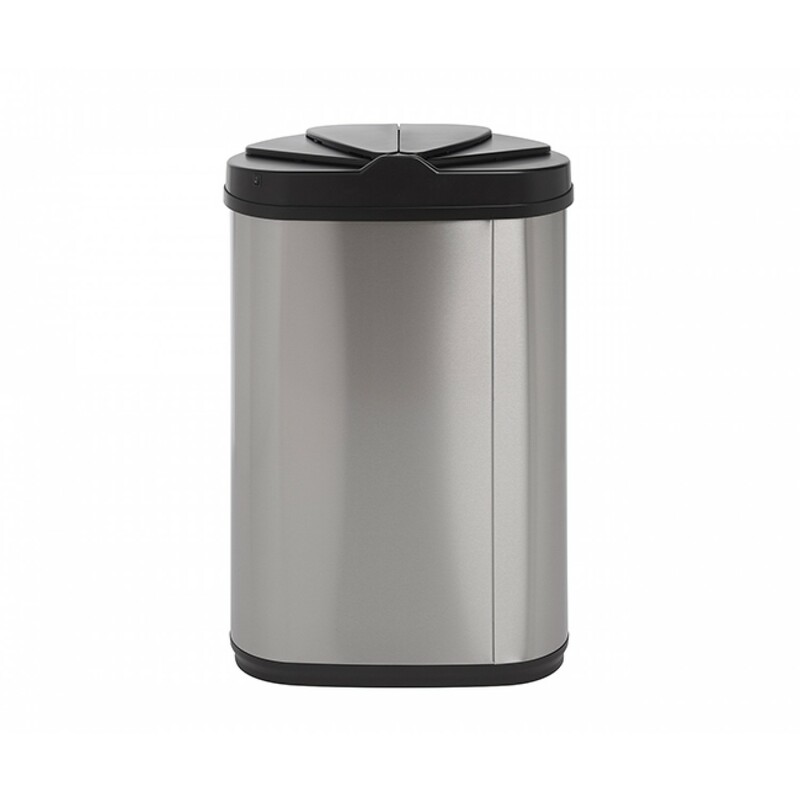 It was inspired by the popularity of our 2L Mini Ladybird bin, so Autobin designed a larger version intended as bathroom rubbish bins. The lid opens like a ladybird's wings, sideways and in 2 halves. This means that you have more vertical clearance and space, hence its ideal underneath kitchen worktop counters and where height is an issue! 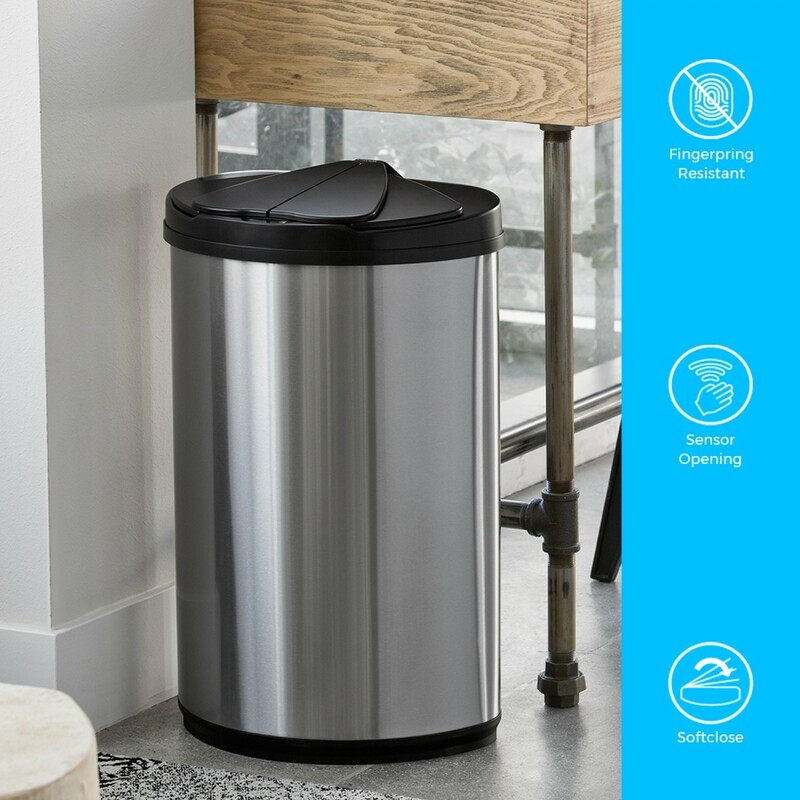 It is a motion sensor bin and energy efficient Autobin, allowing batteries to last up to 24 months. Inside is a bag retaining ring holder to secure your bin liners from dropping and hide the excess ugly bin bag hangover. 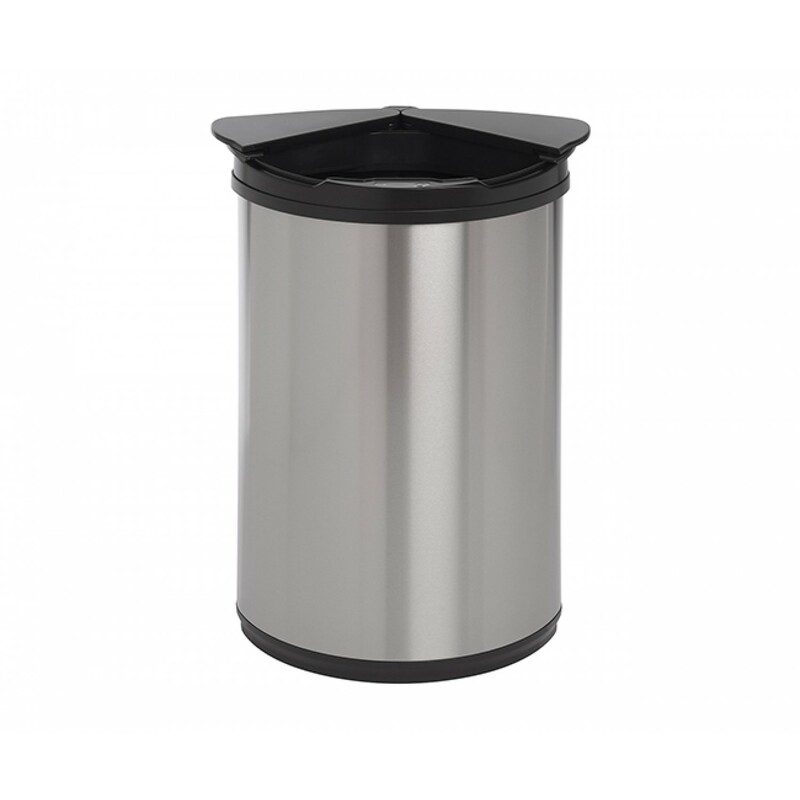 The outer body of the motion sensor bin is made from premium quality stainless silver brushed steel that’s fingerprint, smear and smudge proof. 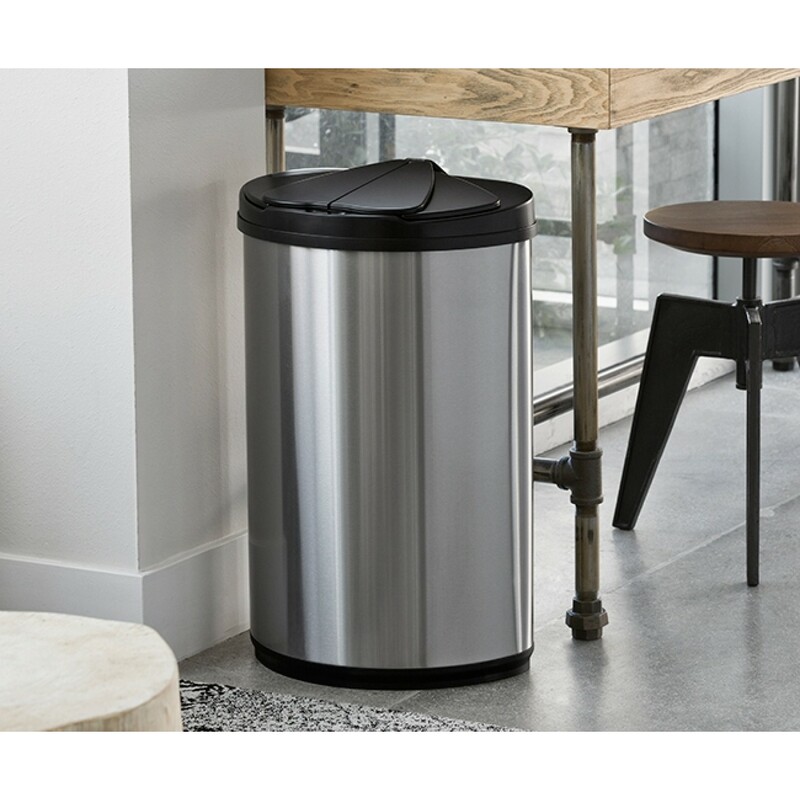 Our Autobin 50L Bathroom Rubbish Bins are shaped semi-circular with a flat back, hence this fits well in corners, against walls or end of kitchen cupboard units. Furthermore, as the motion sensor bin glides opens and closes side ways, this allows to be placed underneath kitchen worktop counters. Usually removing a full bag from bathroom rubbish bins can be a nuisance. There is usually a vacuum and the bag fights against you and it feels like a game of tug-of-war. 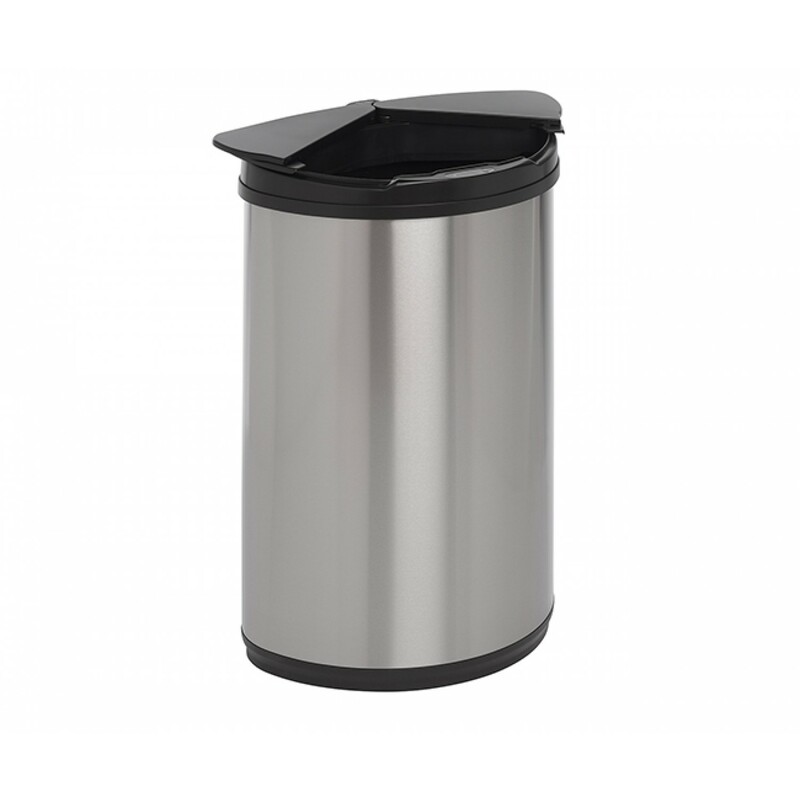 Whatever model of AutoBin motion sensor bin you buy, they are all designed to be tapered meaning that they are slightly wider at the top than they are at the base. This means your full bin liner will slide out easily. Bag removal is kinder and easier on your back!